"Not only do you showcase outstanding and beautiful projects, and post links to others' blogs, but you write out step-by-step directions for just about every project you post! Thank you so much!!! Thanks again for all of the labor and love you put into your blog. I truly enjoy it!" ~Ellen D.
"I look forward to your email every day. Love your tips and tricks." ~MaryAnn H.
"I love the cards you make, you have a real talent in card making." ~Sue M.
"I have been following your blog for awhile now and appreciate the work that goes into it. You keep us inspired and keep giving us ideas to make our cardmaking a more pleasant experience" ~Jackie C.
"Thanks again for sharing your great ideas. Your tutorials are always so easy to follow." ~Lynne C.
"Your style is unique, and I love the detail and the fact that you experiment! Love also that you share your techniques, and you give credit to those who inspired you." ~S.D. "I love your blog! You always have the best info and samples!" ~Sandie C.
Send Me Too Cool Project Ideas! Helping You Create Projects That Are Too Cool! I woke up early this morning, before the sun started to rise, to the sweet sound of birds just starting to wake up and sing. I always sleep better when it's warm enough to leave the window open, and I love it when I awaken to birds instead of an alarm clock! It's shaping up to be a beautiful spring day here in Indiana! I'm going to try to spend part of it outdoors, taking a long walk, and planting some flowers, and taking in a softball game. What are you doing today? For my projects today, I'm sharing a couple of Too Cool Team swap cards that remind me of this spring day—one bird card & one flower card! Both are perfect birthday card ideas for spring featuring stamp sets that will be carrying over into the new catalog. Speaking of catalog...are you on my NEW 2017 Catalog mailing list? I'll be sending out catalogs this week! If you're not sure, simply sign up! Would You Like A New Catalog? I'll be mailing out new catalogs at the beginning of next week...would you like one? If you are not currently working with another demonstrator, I would be happy to send you one! US Residents only. Sign Up To Receive Your FREE Catalog! 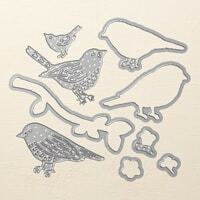 If you enjoy birds like I do, you'll adore this sweet Best Birds card created by Kathe Madsen! This is a fantastic stamp set, not only because of the two cool bird images, but because there are some awesome sentiments in it as well! Plus, there are beautiful Birds & Blooms Thinlits to match! SAVE On The Bundle When You Buy NOW—Don't forget that even though Best Birds & the thinlits are carrying over into the next catalog, the discounted bundle will not be! Purchase the bundle now to get that extra 10% savings! It's available while supplies last through May 31, 2017. Background Basics—Kathe started by cutting out a window from 4" x 5-1/4" Soft Suede card stock using the Layering Ovals Framelits, then embossing it with the Woodland Textured Impressions Folder. She stamped the sentiment onto the top of a 3" x 4" piece of Whisper White card stock. To mount it onto the Crushed Curry card base, she added SNAIL to the back of the sentiment layer, then held it into position behind the window before laying it down on the card front. Then, she mounted the window layer with a bunch of Dimensionals for a recessed window look. Best Bird—Kathe stamped the Best Bird image in Archival Black Ink onto Whisper White card stock, then used Watercolor Pencils and a Blender Pen to color it in. She did the same with the branch image, then die-cut both using the Birds & Blooms Thinlits. Both are popped up with Dimensionals in the window and SNAIL was used to tack down the branch ends that hang over the textured background. Pretty birdie! Some Retiring Items May Already Be Sold Out! Janet Shinn used the Definitely Dahlia background stamp to create a lovely layered birthday card. She used a cool double-time stamping technique to make the stamped image appear to flow off the focal point onto the background layer. Too Cool! Double-Time Stamping—This technique is so fun and easy! Start with 3-3/4" x 5" and 2-3/4" x 2-3/4" pieces of Whisper White. Temporarily adhere the smaller piece onto the larger piece with a couple of small dabs of SNAIL. 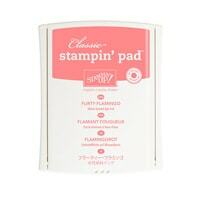 Then, stamp the Definitely Dahlia image in Flirty Flamingo ink over the top of the small square. You'll see a white line around the edge of the square that didn't get stamped, but that's OK because it will be covered up with mats! Sweet Sentiment—Janet added a birthday sentiment from Rose Wonder in Memento Tuxedo Black Ink at the bottom of the larger white piece. Finishing It Up—Layer the larger white piece onto a 3-7/8" x 5-1/8" piece of Basic Black card stock, then mount onto a Flirty Flamingo card base. Layer the smaller white piece onto a 2-7/8" x 2-7/8" piece of Basic Black, and to a 3" x 3" piece of Flirty Flamingo. Line up the image in the correct position, then adhere the focal point to the card front with SNAIL. Add a couple of Flirty Flamingo In Color Enamel Shapes accents near the sentiment. So sweet! Shop My Online Store For These Items Now! Use Hostess Code 2FRZKPGT for FREE Gold Ribbon In May! Learn More About My Monthly Host Code Gift! I'd Love To Hear From You! Leave A Comment! Two NEW Eastern Palace Suite Bundles Now Available! Receive a FREE Gift in each one now thru May 31 only! First-Time Paper Pumpkin Subscribers Save 25% For 3 Months! Two Cool Sweet Swirly Bird Ideas! Let's See Yours! Extra Stampin' Rewards—Hosts can earn $35 more reward dollars in June. Select 2 FREE Stamp Sets With Starter Kit—June 1-30. Browse The 2016 Annual Catalog—See the latest products! Request A FREE Catalog—Learn how! BIG BOGO Bash Event—Huge Retired Clearance Sale! June 26, 1-6pm. "Last Thursdays" Monthly Card Class—June 30, 6:30-8:30pm. 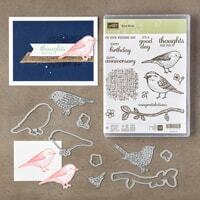 So, what do you think of the Swirly Bird stamp set & Swirly Scribbles Thinlits? I purchased that bundle right away, because it was one of the few bundles available on our pre-order, but I admit that I wasn't completely sold on it. But, wow, there are like 14 gazillion projects using that bundle and I have to admit that it's pretty darn versatile and pretty darn pretty! Today, I'm sharing two Swirly Bird cards created for our team swap last week. ►►Please Share Your Swirly Bird Projects! If you have made some cards with the Swirly Bird Bundle, I'd love for you to share! Head on over to my Too Cool Stamping Facebook Page and post a photo of your Swirly Bird project! Big BOGO Bash & Catalog Launch! Sunday, June 26, 2016, from 1-6pm. Buy ONE clearance item, Get ONE FREE new catalog item of your choice! Shop my HUGE clearance sale—100s of stamps, papers, embellishments & tools—and for every dollar you spend on my retired merchandise, you'll be able to order that amount in NEW catalog products for FREE! Dollar-for-dollar! Event Fee—$5, waived if you order more than $75 in clearance items. See event details. RSVP Required! Please Contact Me by June 24! 1) Darla's Swirly Bird Get Well Sooner Card—Darla Eigenschink created this cheerful card using lots of the little stamp images from the Swirly Bird set. This would brighten anyone's day! Double-Time Background—Darla used at double-time technique to make the background flow over the two layers. She started with a 3-5/8" x 2-5/8" piece of Whisper White and temporarily tacked it to the Whisper White card base. Then she randomly stamped down the left side: splatter image in Crumb Cake & Mint Macaron inks, rose swirl in Crushed Curry and daisy in Sweet Sugarplum. Next, she rounded the top left and bottom right corners of the layer with the Project Life Corner Rounder. She also rounded the same corners of a 3-3/4" x 2-3/4" mat in Sweet Sugarplum. Both layers are adhered together and added to the card front with SNAIL. Swirly Flowers—The Swirly Scribbles Thinlits were used to create the swirly abstract flowers in Sweet Sugarplum, Flirty Flamingo & Peekaboo Peach In Colors, then attached with the Fine-Tip Glue Pen. The leaves were stamped in Mint Macaron—the solid image was stamped off once first to make it a lighter color, then the veins were in full color. They were die-cut with the Thinlits, too. Sweet Sentiment—Darla used a greeting from the Greatest Greetings stamp set in Sweet Sugarplum ink. Darla's Complete Supplies List—"Clear" means a rubber stamp on a clear block. "Photopolymer" is see-thru. 2) Kathe's Swirly Bird Flowers Birthday Card—Kathe Madsen used the Swirly Bird stamp set to create different swirly flowers that were stamped instead of die-cut! So sweet! Background Basics—Kathe started with a 4-7/8" x 3-5/8" Whisper White stamped layer, matted onto a 5-1/4" x 4" layer of Cucumber Crush, then popped up onto a Peekaboo Peach card base. Masked Swirly Flowers—To create the layered stamp look of the flowers, Kathe used a simple masking technique. She stamped the Peekaboo Peach image first. Next she stamped the same image onto a sticky note and cut out the image just inside the edge and laid that over the stamped flower. Then she could stamp the second flower in Flirty Flamingo. The Cucumber Crush leaves were added in the same way by stamping over the mask. It looks like she had to create two masks to cover both flowers in order to stamp the bottom leaves, as well as the Pool Party splatter image. The small Swirly Bird flowers were stamped onto Whisper White scrap and die-cut with the Swirly Scribbles Thinlits. They were popped up with Dimensionals and accented with Rhinestone Jewels. Sweet Sentiment—Kathe stamped the Rose Wonder greeting in Cucumber Crush. The little Swirly Bird bird was stamped in Crushed Curry then hand-cut and popped up with Dimensionals. Finishing Touches—After the card was assembled, Kathe used a White Gel Pen to add a dotted line around the border. Kathe's Complete Supplies List—"Clear" means a rubber stamp on a clear block. "Photopolymer" is see-thru. Leave me a comment at the bottom of the page! Thanks so much to Darla & Kathe for sharing their projects! Two Cool Ways To Earn FREE Stamps In June! #1 Earn Extra Stampin' Rewards!—Earn $35 in extra Stampin' Rewards dollars to spend when you have a minimum $350 workshop or individual order! Learn more about the Extra Stampin' Rewards Promotion! #2 Purchase A $99 Starter Kit, Select Two FREE Stamps!—Select Two Stamp Sets of your choice with the purchase the $99 Starter Kit! Learn more about the More Stamps Please Promotion. See Tips For Getting Your Wishlist Faves At The Best Possible Price! I still have ONE MORE SPOT available in my final In Color Club group because we had someone who needed to back out due to an emergency. Call me ASAP if you'd like to be the 5th member of the group! See In Color Club details. Today, I'm sharing the final cards from the In Color Club...this time featuring Dapper Denim accents! Buy ONE clearance item, Get ONE FREE new catalog item of your choice! Shop my HUGE clearance sale—100s of stamps, papers, embellishments & tools—and for every dollar you spend on my retired merchandise, you'll be able to order that amount in NEW catalog products for FREE! Dollar-for-dollar! No restrictions on what you select from the new catalog! Come early for best selection! Event Fee—$5, waived if you order more than $75 in clearance items. Try-It Stations—Get your hands on new products! Make & Takes—2 quick & easy projects! Prize Give-Aways—Drawings every half hour! Grand Prize Drawing—Win a NEW Big Shot Platform! RSVP by June 24 To Receive A FREE Gift! Cascading Flowers Triple-Time Cards—I created my final In Color Club card design with a fun layering technique called triple-time stamping. Most of the time with this technique the background layers are all white, but I liked giving these cards a little twist by having progressively darker layers. Kind of a layered ombré effect! Triple-Time Stamping—I started by temporarily adhering all of the stamped layers onto the card base, without the mats. I just used a tiny dab of SNAIL in a couple places on the back. Then I stamped the Grateful Bunch images diagonally across all of the layers with Dapper Denim ink. TIP: When stamping on an edge, push down firmly and evenly to ensure that you are stamping the entire image. It may help to have a Piercing Mat underneath your project for some give. You can expect to see a very skinny white line of no stamping right next to the mat edges, but those will be covered up by the mats. Triple-Layer Assembly—Next, I adhered each stamped layer to its corresponding mat. I wrapped the middle layer with some Dapper Denim Ruched Ribbon before popping up all the layers with Dimensionals. See a Triple-Time Stamping Pictorial for a better visual of this technique. Lovely Label—For the sentiment, I stamped a word from the Helping Me Grow stamp set in Dapper Denim onto a Whisper White die-cut created with the Project Life Cards & Labels Framelits. I also punched a Bermuda Bay banner shape with the Duet Banner Punch, cut it in half and adhered them to the ends of the label for a pretty layered banner. It's popped up with Dimensionals, too, and flanked with Rhinestone Jewels. 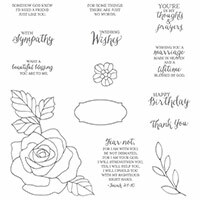 Two Cool—I tried a second version using the Falling Flowers stamp set for the cascading blooms, and another word from the Helping Me Grow stamp set. I absolutely LOVE this fun layered stamping technique! You should try it if you haven't! 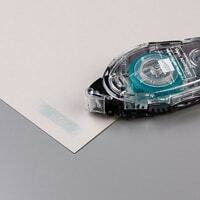 Complete Supplies List—"Clear" means a rubber stamp on a clear block. "Photopolymer" is see-thru. The NEW 2016-2017 Annual Catalog Is Here! I'm happy to send you a NEW Catalog! Learn how! Current Classes & Special Promotions! Wishlist Contest—Enter To Win A $50 Shopping Spree! 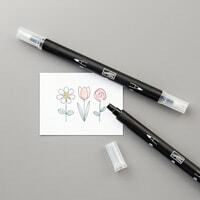 Starter Kit Promotion—Join & receive Two FREE Stamp Sets. June 2-30. 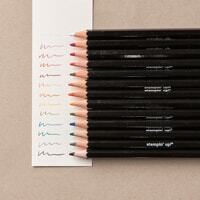 In Color Club Group #2—A budget-friendly way to collect the new In Color supplies! Paper Share & Stacks Share—Try all the new papers at a great value! Stamper Sampler—Details to come. June 17. 50% Off Paper Pumpkin For 2 Months—Use promo code SAVE50 to join. SPECIAL: Weekly Deals—New specials announced every Tuesday! Don't miss your last opportunity to win a $50 Shopping Spree simply by emailing me your new catalog Wishlist! No purchase necessary! All entries must be to me by the end of the day, Monday, June 15! Here are the details! Wishlist Contest! Win $50 In Products! As you're checking out the new Annual Catalog, be sure to make your Wishlist, then email it to me for your chance to win $50 in FREE PRODUCTS of your choice, and other fun prizes! 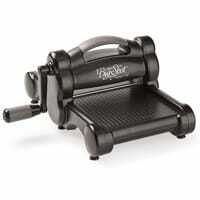 I'll be drawing a winner from all Wishlists received by the end of the day on June 15. No purchase necessary! Enter To Win—Get your Wishlist to me in person or by email by June 15, 2015. Fill out this Wishlist, then print it out to hand in or email it to me. Simply type up your own list and forward it to me. It's Sunday Showcase time! Today, I'm featuring the swaps from our Too Cool Team meeting last week. Our theme was to feature any new catalog product! Let's take a look! Created by Jodi Geers at Polka Dot Stamper. Color combo: Watermelon Wonder, Pool Party, Crushed Curry, Bermuda Bay, Cucumber Crush & Whisper White. #1 Polka Dot Birthday Wishes—I love the words background that Jodi Geers created on this card with the Endless Birthday Wishes stamp set! So colorful & cheerful! The birthday cake is colored in with Blender Pens, then punched with the Note Tag Punch. She matted the tag onto Cherry On Top Designer Series Paper and trimmed around it before popping up both layers. Created by Kathe Madsen. Color combo: Watermelon Wonder, Blackberry Bliss, Crushed Curry & Whisper White. #2 Build A Birthday With Stars—I love this color combination! So rich and fun! Kathe Madsen started by partially embossing the background with the Lucky Stars Texture Impressions Folder. Then, she stamped the Build A Birthday cake pedestal on the non-textured part and stacked the cake layers with Dimensionals on top. The candle and flame are also cut out and popped up. Cool! Created by Rita Berning and CASEd from Lyssa Zwolanek at Song of My Heart Stampers. Color combo: Tip Top Taupe & Very Vanilla. #3 You've Got This In Taupe—I love Rita Berning's monochromatic card featuring the new Tip Top Taupe color and the new You've Got This (clear, wood) stamp set! It's soft and pretty! Take a close look at the Dotted Lace Trim...she's cut the edges off of some of the lace and tied those thin strips on for extra-fun texture! Created by Carmen DeBruce. Color combo: Mint Macaron, Tip Top Taupe & Whisper White. #4 Happy Birthday Butterfly—Carmen DeBruce created this soft & simple card by combining a background from Work of Art (clear, wood) and the Beautiful Butterfly Thinlits, both in the new Mint Macaron color. 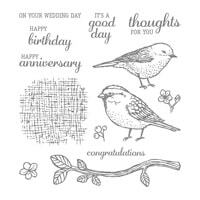 The gorgeous sentiment is from the new Happy Birthday, Everyone (clear, wood) host stamp set—that's a must-have set! Created by Peggy Tassler. Color combo: Island Indigo, Blackberry Bliss, Delightful Dijon & Very Vanilla. #5 Bohemian You've Got This—Peggy Tassler combined lots of patterns & textures for this pretty You've Got This card. She stamped the background splatters with Gorgeous Grunge (clear, wood). Then she added Decorative Dots embossed texture to the Bohemian DSP banner. The tiny butterfly is from Papillon Potpourri (clear, wood) and punched with the Bitty Butterfly Punch. Created by Lisa Blanchard. Color combo: Watermelon Wonder, Bermuda Bay, Crushed Curry & Whisper White. #6 Cupcake Sprinkles With Cherry On Top—Lisa Blanchard created a fun card with the new stamp set called Sprinkles of Life. (I love that Stampin' Up! donates $3 of every one of these sets sold to the Ronald McDonald House Charities!) She used the Tree Builder Punch to perfectly punch the cupcake icing. The background is decorated with both the Cherry On Top Designer Series Paper Stack and the Cherry On Top Washi Tape. Super cute! Created by Janet Shinn. Color combo: Watermelon Wonder, Cucumber Crush, Tip Top Taupe, Delightful Dijon & Whisper White. #7 Best Thoughts Double-Time—Janet Shinn created a beautiful card featuring lots of new In Colors! The flower is from the lovely Best Thoughts (clear, wood) host set and she has it spilling off of the focal layer using the Double-Time technique! Love it! Also features: Papillon Potpouri (clear, wood), Bitty Butterfly Punch, Petite Petals Punch, Chalk Talk Framelits, White Embossing Powder, Sahara Sand Lace Trim, Rhinestone Jewels. Find all the supplies to create these projects & more at my Online Store! I hope you've enjoyed today's Sunday Showcase! Thank you to all of my team members who participated in our Team Swap! I love all of these fabulous new catalog ideas! Check Out The 2015-2016 Annual Catalog! Send In Your Wishlist For A Chance To Win $50 In Products! As you're checking out the new Annual Catalog, be sure to make your Wishlist, then email it to me for your chance to win $50 in FREE PRODUCTS of your choice, and other fun prizes! I'll be drawing a winner from all Wishlists received by the end of the day on June 15. See complete details. Two FREE Stamps When You Purchase The Starter Kit In June! Now thru June 30, purchase a $99 Starter Kit and select TWO FREE stamps sets! See complete details. Join My Team By Purchasing A Starter Kit Now! Project Life Product Line—Quick & easy memory keeping system! Pre-Paid Paper Pumpkin Subscriptions—Now available for easy ordering! NEW Arrivals—See the latest product releases! Weekly Deals—New specials announced every Tuesday! CLUB: Too Cool Stamp Club—Group 2 Signups Now Open! 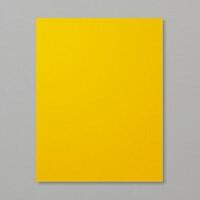 CLASS: "Last Thursdays" Monthly Card Class—RSVP by TODAY October 30. CLASS: Dec. Countdown To Christmas—Cheerful Christmas. Register by Nov. 19. 2014 Holiday Supplement PDF—Browse items Online. SPECIAL: FREE Good Greetings Stamp Set—With a $300 workshop. SPECIAL: Pick A Pack of Paper Starter Kit Promo—Earn 6 packs of DSP! It's the LAST DAY to RSVP for my "Last Thursdays" monthly card class happening tomorrow night! See complete details by clicking the link above and see one of our cards spotlighted below featuring the Ornamental Pine set! Help Please! Which Do You Like Better? And, speaking of Ornamental Pine, I'm doing a quick survey about this set. I had planned on featuring the Cheerful Christmas set for my December Countdown To Christmas class, but now I'm considering switching it out for the Ornamental Pine set. I'm seeing a lot of pretty, and surprisingly versatile, cards with that set. Did anyone have their heart set on the Cheerful Christmas set? Please let me know which set you like better in the comments section! New Weekly Deals have been announced! This week, there are discounts on Word Bubbles Framelits, the Dotted Scallop Ribbon Border Punch, the Blue Ribbon stamp set and more! Check out the complete list of items on sale until Monday, November 3, 2014. Please note that Stampin' Up! is experiencing some significant delays at their west coast ports due to a breakdown in negotiations with union dock workers. These delays have and will impact several items until an agreement is reached. The Wonderful Wreath Framelits Die (item 135851), the Curvy Keepsake Box Thinlits Die (item 135853), and the Tree Punch (item 135859) are currently on backorder due to this delay and the list will likely get longer as the strike continues. There is a possibility that this may also result in delayed shipping of the November Paper Pumpkin kit. Thanks for your patience as we wait for a resolution to this situation. I will keep you updated on the situation as we know more. Upcoming Classes—Some of the items that are already backordered due to this strike are featured in my upcoming classes. I will be sending out emails to my class participants with more details. Today's card is a super-quick & elegant holiday card featuring the Ornamental Pine stamp set. It's just one of the 4 cards we'll be creating tomorrow night at my "Last Thursdays" class! CASEd from Dawn Olchefske at DO Stamping With Dawn. Double-Time Pine Stamping—This card literally went together in just a few minutes with the too cool Double-Time Stamping technique. Start with a 2-3/4" x 4" piece of Very Vanilla. Temporary tack it down in the center of a 4" x 5-1/4" piece of Very Vanilla. Ink the Ornamental Pine image in Mossy Meadow and stamp across the corner of both layers at the same time. Add a any additional stamping on that layer (the pine cone & sentiment). Pop up over the bottom layer with Dimensionals. Pine Cone & Sweet Sentiment—I love the golden tones of the Baked Brown Sugar pine cone, but it would also look fabulous embossed in gold, don't you think?! I'll give my class the option to try embossing on their cards. I stamped the phrase in Soft Suede ink. Gold Twine Bow—Before adhering the layers together, I wrapped the bottom layer with some Gold Baker's Twine and tied it into a bow. It's all adhered to a Very Vanilla card base. My second card was created the same way, I just added another pine cone to fill the space better. This card looks fantastic in either direction! That is it! Super fast! Super easy! So, so pretty! It's the perfect card design for mass-producing holiday cards! Come and make this card, plus 3 others! I'd love for you to join us at my "Last Thursdays" class! 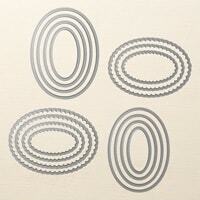 CLASS: TC Stamper Sampler—October 22. CLASS: Nov. Countdown To Christmas—Wonderous Wreath. Register by Oct. 22. Welcome to Sunday Showcase! I have an eclectic mixture of cards today from stamping friends and recent displays I've seen. Let's get right to it! Created by Carmen DeBruce. CASEd from France Martin at Stamp & Scrap with Frenchie. Color Combo: Hello Honey, Sahara Sand, Blackberry Bliss & Whisper White. Carmen used the popular Kinda Eclectic (wood) set to create this pretty card using the Triple-Time Stamping technique. Learn how to do this fun technique: Triple-Time Stamping pictorial. This is definitely one of those stamp sets that has fantastic, versatile images for layered stamping! Love it! Also features: Sassy Salutations (wood). Created by Peggy Tassler. Color Combo: Daffodil Delight, Pumpkin Pie, Cherry Cobbler, Old Olive & Whisper White. Peggy Tassler created a truly amazing "WOW" birthday card using Blendabilities Markers! She combined the gorgeous flowers from the I Like You Hostess (wood) set with the large Blended Bloom flower, with a little bit of masking and intricate cutting, for a beautiful floral bouquet. Also features: Blooming Marvelous (retired). Created by Tamie Ackerson at Stamping With Tamie. Color Combo: Crushed Curry, Pumpkin Pie, Tangerine Tango, Basic Black and Whisper White. Tamie shared this spooky-cute card at her display at Ronda Wade's Creative Convention. I loved the ghost die-cut with the Fun Fall Framelits from Dazzling Diamonds Glimmer Paper! The cute little banners on toothpicks are awesome, too! Also features: Making Spirits Bright (wood), Motley Monsters DSP, Basic Black Baker's Twine, Pumpkin Pie 1/4" Cotton Ribbon, 2-1/2" Circle Punch. Created by Rita Berning. Color Combo: Blackberry Bliss, Crumb Cake & Whisper White. Rita used the wash-striped paper from the Color Me Autumn DSP as a background for the Blackberry Bliss colored Bloom For You flowers on this pretty birthday card. Her Amazing Birthday (wood) sentiment is accented with an In Color Clothespin to match! Also features: Burlap Ribbon, Large Rhinestone Jewels (retired), Rich Razzleberry Blendabilities Marker to color the rhinestones. Created by Kathe Madsen. Color Combo: Melon Mambo, Basic Black & Whisper White. Kathe created this stunning birthday card with the Regarding Dahlias (wood) set and the Beautiful Wings Embosslit butterflies. So pretty! Created by Melissa Alexander & Bridget Ervin. Color Combo: Pumpkin Pie, Basic Black, Crumb Cake and Whisper White. This was another cute display project from Ronda Wade's Creative Convention. Can you tell what it is? It's a tag topper for a mini wine bottle! What a cute party favor idea! Melissa & Bridget embossed the tag with the Chevron Folder, then decorated it with the Mustache Framelit and sentiment from the Let Your Hair Down Hostess (wood) set. How fun! Thanks so much for stopping by today's Sunday Showcase! Too Cool Events & Specials! NEW Too Cool Stamp Club—Group 2 Signups Now Open! Stamp-of-the-Month: Traveler Class—Includes stamp set and supplies for 5 cards. Local class August 14. Class-To-Go Kits available. Demos can request Cards-Only Kits. Pre-paid registration by Monday, July 28, 2014. "Last Thursdays" Card Class—4 cards. All levels of stampers welcome. Local class Thursday, July 31. Class-To-Go Kits available. RSVP by July 30, 2014. First a few quick reminders. Today is the final day to register for the Traveler Stamp-of-the-Month class. It's also the last day to take advantage of this week's Weekly Deals! And, you have just a few more days to save with the Buy 3, Get 1 FREE Designer Series Paper promo, which ends on July 31. I've got a couple more amazing cards to show you from our Too Cool Demo Team shoebox swap. Today, we are looking at the gorgeous card that Kathe Madsen brought for our team to create. CASEd from Amy Koenders at Stampin' With Amy K.
I can tell right away that this photo doesn't do Kathe's card justice! The colors are so soft and elegant...you really need to see it in real life to appreciate it. I guess you'll just have to try it out on your own! And, you'll definitely want to, because the technique she used to create the two layers is equally awesome and so, so simple! Cool Cut-Out Background—We started by embossing a piece of 4" x 5-1/4" Soft Sky card stock with the large Swallowtail image. The image is inked in VersaMark and stamped at a bit of an angle, sprinkled with Smoky Slate Embossing Powder, then heated until smooth and glossy. Next we used the Ovals Collection Framelits to die-cut an oval shape right out the center of the butterfly. Finally, we die-cut a seperate Pool Party layer with the next size up Oval, and mounted the cut-out butterfly oval on that. Adhere the original layer to the Pool Party card base, then pop up the framed cut-out with Dimensionals over the hole. Isn't that clever?! It's a little twist on the Double-Time Stamping Technique and it's Too Cool! Sympathy Sentiment—The sentiment is from the Bloom With Hope Hostess set, stamped in Smoky Slate ink onto Soft Sky and die-cut with the Apothecary Accents Framelits. We used a second die-cut from Pool Party card stock, cutting it in half and repositioning the halves to make a frame. Butterfly Accents—The Papillon Potpourri butterflies were also stamped in Smoky Slate onto Pool Party card stock, then punched with the Bitty Butterfly Punch. 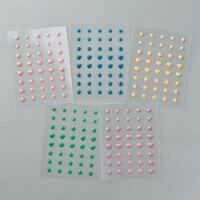 They are adhered with Glue Dots and adorned with Pearl Jewels. Find all the supplies to create this project & more at my Online Store! Great card idea, Kathe! Thanks so much for sharing it with us! 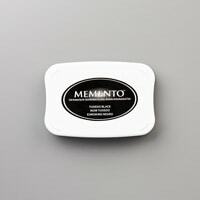 NEW Project Life Product Line—Quick & easy memory keeping system! Join us on Wednesday, July 23 as we create the Modern Medley Card Set! Come to my local class in Fort Wayne or order a Class-To-Go Kit! 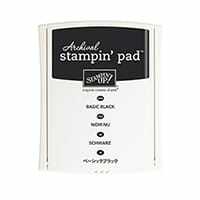 You can choose ANY Stampin' Up! 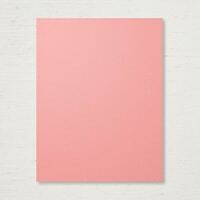 color to use for your paper flower accents! Contact me today to reserve your kit! Club Class Option—Don't forget that you can get this class for only $10 if you're one of my Too Cool Stamp Club members! Update: My Stamp Club Group #1 is filled, but I'm currently signing up members for Group #2. We'll get started as soon as we get 10 participants, and I'm hoping we can begin in August! Contact me to get on the waiting list. I had a chance to check out the brand new Holiday Catalog yesterday! Woohoo! It's gonna knock your socks off! So many fantastic new stamp sets, beautiful seasonal papers, wonderful new gift packaging items, plus a ton of fun new tools and embellishments! It's amazing from start to finish and you are gonna LOVE it! Look for it to be released on August 28! Holiday Classes Coming In September! I've already started making plans for which new Holiday Catalog items will be featured in my Stamp-of-the-Month and TC Stamper Sampler classes from September thru December. Plus, I'll be bringing back my Countdown To Christmas class series to help you get all your holiday cards made one month at a time! Stay tuned for more details in a few weeks! August Stamp-of-the-Month Class Featuring Traveler Set! Pre-Paid Registration Thru July 28, 2014. Register today for the August Stamp-of-the-Month Class featuring the new Traveler set! Local stampers can join us at my Traveler Class Night on August 14, and online stampers can purchase a Class-To-Go Kit. Hey Demonstrators! You can choose the Cards-Only kit option if you already have the Traveler stamp set. No Surprises! See What's In Your Kit!—You can check out the three other Traveler projects on my previous posts: Globe With Colored Map Background, Nautical Ship Card, Masked & Blended Color Cards. Let's take a look at the 4th project from the Traveler SOTM Kit! Rollin' Down The Tracks! Bring the Traveler train to life with the fun double-time or triple-time stamping technique! The image really pops off the card! My first card uses two layers and a clean & simple look. I used the Double-Time Technique of stamping on two layers at once, then framing the layers and popping them up with Dimensionals. It's a variation of the Triple-Time Technique. <<<Click to learn how. Double-Time Simple—I layered a 2" x 2" piece of Very Vanilla onto a 3" x 3" piece of Very Vanilla with some temporarily adhesive, then stamped the train image onto the center with Memento Black Ink. The image is just a little larger than the top piece, so a tiny bit of it spills over onto the bottom layer...a subtle, yet cool effect! After stamping, pull apart the layers, then mat them on a 2-1/8" square and 3-1/8" square of Basic Black, popping them up with the foam Dimensionals. 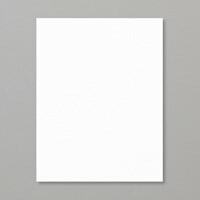 Background Basics—The 4" x 5-1/4" Crumb Cake background is embossed with Stylish Stripes, then wrapped with a piece of 7/8" Natural Cotton Ribbon and adhered to the Very Vanilla card base. Sweet Sentiment—I added a small greeting from the Gifts of Kindness stamp set, punched with the Modern Label Punch. I punched another shape from Basic Black, then cut it in half and repositioned it under the sides of the sentiment before adhering with more Dimensionals. Rhinestones—Your class kit will come with a full package of Rhinestone Jewels, so I added a few sparkling accents to the focal point. Inspired by Pat Mayer at Pat's Stampin' Place. I stepped up the second version by adding one more layer to the stamping! Triple-Time Sponged—This time I added a 1" square layer to the top of the stack that's temporarily adhered together. After stamping on all the layers at once, I pulled them apart and sponged the edges with Memento Black ink. You'll receive one Stampin' Sponge in your class kit that you can cut into pie shapes for sponging with several colors! I matted my Vanilla pieces onto squares that were 1/8" larger and popped them up with Dimensionals. Wow! That train really makes a fun 3D image! Finishing Details—This time, I embossed with the Argyle Folder, and used a different sentiment from the Gifts of Kindness set. What a handsome card! Register Now For The Traveler Stamp-of-the-Month Class! Want to create one of these cards for yourself? Simply contact me to register! Schedule A "BIG" Card Party To Earn Hostess Rewards! LAST CALL For Too Cool Paper Share! I still have 3 spots left for my current paper share group and this will be the last group for this catalog! Sign-ups have slowed down and I'd love for the 5 participants on my waiting list to get their paper, so I'm making one LAST CALL to fill the vacancies! Deadline for this last group is Thursday, June 26. Contact me today to participate! On this week's Sunday Showcase, I'm featuring some of my Too Cool Demo Team creations with fun collage backgrounds. Get ready for lots of random stamping! Created by Peggy Tassler. Color combo: Pear Pizzazz, Pumpkin Pie & Whisper White. Peggy created a lovely distressed background with the Gorgeous Grunge (wood) stamp set—one of my absolute favorites! You can't go wrong with these overlapping striped and splotched elements, stamped in whatever colors you like. Must-have alert! Also features: Apothecary Accents Framelits, Modern Label Punch, Gifts of Kindness (wood). Created by Becky High. Color combo: Blackberry Bliss, Coastal Cabana & Whisper White. Becky used the sample on page 163 of the new Annual Catalog to CASE this beautiful collage of mosaics and butterflies! 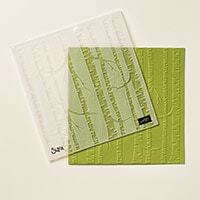 The background is embossed with the Modern Mosaic Folder and sponged with Coastal Cabana Ink. Then, she layered on Mosaic Madness (wood) shapes, punched with the Mosaic Punch, and textured butterflies die-cut from the Beautiful Wings Embosslit. So pretty! Also features: Pearl Jewels, Project Life Corner Round Punch. Created by Peggy Tassler. Color combo: Pool Party, Crisp Cantaloupe, Strawberry Slush & Whisper White. Peggy created another fabulous collage background for these Flower Shop (wood) blooms using the Work of Art (wood) swooshes and splotches! Of course, you still need the Gorgeous Grunge (wood) for the splatters...it truly is a must-have set! Also features: Itty Bitty Banners (wood), Bitty Banners Framelits, Pansy Punch, Rhinestone Jewels. Created by Rita Berning. Color combo: Strawberry Slush, Crumb Cake, Silver & Whisper White. Rita created a reprise of her Baseball Grunge card from last month, this time with a feminine twist for girls' softball! She used the mini chevron die-cuts from the Circle Card Thinlits to add "stitching" to the ball. The pennant is from Banner Greetings Hostess Set (wood), which matches the Strawberry Slush Baker's Twine on the fold. The background uses a combination of Gorgeous Grunge (wood), Work of Art (wood), and the retired Off The Grid stamp embossed in silver to represent the dirt on the field and the fencing. Retired Simply Stars represent the all-star player, but you could add some stars with the new Itty Bitty Accents star punch and Star Framelits! Created by Kathe Madsen. Color combo: Soft Suede, Gold & Whisper White. Kathe's card is a golden delight! Her background elements from the retired Happy Watercolor set are stamped in Gold Encore Ink, and accented with the gold Watercolor Wonder Washi Tapes. She gold embosed her retired Delicate Doilies die-cut and Very Vintage Designer Buttons for even more metallic accents! Also features: Brushed Gold card stock, Gold Baker's Twine. Created by Peggy Tassler. Color combo: Pool Party, Crisp Cantaloupe, Pistachio Pudding, retired Summer Starfruit, Basic Black & Whisper White. Peggy finishes out our cards today with another Work of Art (wood) collage background combined with the classic Lovely As A Tree (wood) image. She used the double-time stamping technique to make the focal point spill across both layers. Also features: Neutrals Buttons, retired Banner Greetings. Thanks so much for stopping by today's Sunday Showcase, and a special thank you to my team members for allowing me to share their projects! If you like what you see, please subscribe to my blog for daily posts to your in-box. Just click the link above or type your email address in the box in the upper left column on my actual blog page. Annual Catalog—See the latest stamping items! Today, I'm giving you closer look at one more project from my June Stamp-of-The-Month Class Kit featuring the Regarding Dahlias stamp set! Here's a quick look at all of the Regarding Dahlias Class projects included in the Class Kit! See Complete Class Info At The June Regarding Dahlias Class Kit page. Pre-Paid Registration Deadline Is June 25, 2014. Contact me today! 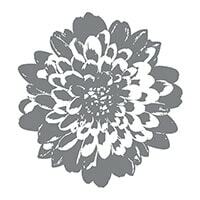 The fourth project in the June Regarding Dahlias Class Kit uses a fun technique called Double-Time Stamping, which is a fancy way of saying that you stamp just once to get the image onto two layers! It's a variation of the Triple-Time Stamping technique. Moonlight Bliss—I'm truly enjoying the papers from the Moonlight Designer Series Paper Stack, so I decided to feature this pretty chevron pattern in a Blackberry Bliss and Hello Honey color combination. I adhered the 4" x 2-1/4" piece to the bottom of the 4" x 5-1/4" Whisper White layer first, so I would know where to stamp my dahlia image. Double-Time Fun—I die-cut the third smallest pennant from the Banner Framelits in Whisper White, then temporarily tacked it down on the background with a couple dots of SNAIL, leaving enough space to add the Blackberry Bliss pennant layer later. I inked the Regarding Dahlias image with Blackberry Bliss and stamped it onto the corner of the pennant and the background of the card at the same time. Then, I pulled up the stamped pennant shape, adhered it to the Blackberry pennant layer, and popped it up with Dimensionals. The mat layer covers up any gap there might have been in the stamping around the edge of the banner. Again, see my Triple-Time Stamping post if you need more details and a better visual. Hi There—I added the "hi" sentiment in Hello Honey onto Whisper White card stock and punched it out with the Artisan Label Punch. It's lifted with Dimensionals, too. My second version uses another sentiment from the Regarding Dahlias set and I die-cut the banner shape with an accent framelit the Circle Card Thinlit Dies. Finishing Touches—I wrapped the card layers with Hello Honey Stitched Satin Ribbon before adhering them to the Blackberry Bliss card base. Each Regarding Dahlia Kit includes a full package of Pearl Jewels, which I used to add some accents on the bottom of the pennant. Pretty! Register Today For The June Regarding Dahlias Class Kit! Class is Thursday, July 10! Card-Only Kits available to demonstrators! Too Cool Paper Share Update! 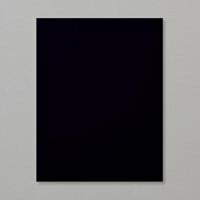 113 NEW Papers For Only $25! Our next Too Cool Paper Share group is now open! Get all the information on the Too Cool Paper Share. 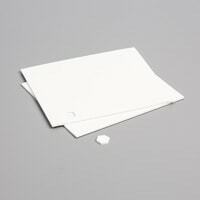 There are two options: regular 6x6" share and a 3x6" Paper Sampler Ring. If you'd like to participate, please contact me! A surprise creative kit delivered to you each month! Search Tips: I tag each project by stamp sets and items used, so try searching by product name and use quotes. Or, try browsing the Categories List below. Still can't find it? Contact me! © Angie Leach, Too Cool Stamping—The content in this blog is the sole responsibility of Angie Leach as an Independent Stampin' Up! 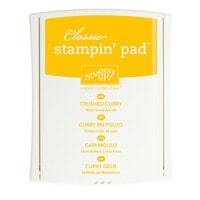 demonstrator and the use of and content of classes, services or products offered is not endorsed by Stampin' Up! I encourage you to use the designs and information for your own personal use, or to share it with stamping friends (with appropriate credit, please!). Thanks for visiting!